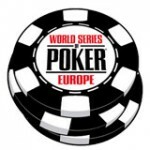 BodogPoker have more than 40 WSOP main event prize packages worth $12,000 up for grabs from now until 13th June 2010. 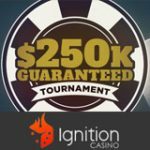 There are daily qualifying tournaments starting from a $1 buy-in, where players can play their way to the Bodog Poker main event satellite tournaments. Bodog Poker bonus get 110% sign up bonus up to $1,100 when making your first deposit, 10% of your poker bonus is released instantly after making the Bodog Poker minimum deposit $20. Bodog Poker WSOP 2010 satellites start from only $1, with daily qualifying tournaments with a range of buy-ins. 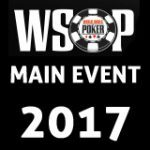 BodogPoker players can play for their seat to the WSOP 201o and represent Team Bodog Poker in the Main Event. Winners of main event $12,000 prize packages will have VIP treatment while they experience the wild side of Sin City, BodogPoker will also track and publish your progress in the WSOP 2010 on their website. 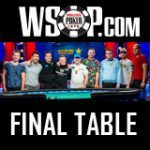 Bodog Poker have more than 40 WSOP main event seats to be won by playing BodogPoker WSOP satellite tournaments or buy-in directly to WSOP Main Event Satellite which have guaranteed main event seats to the WSOP 2010. 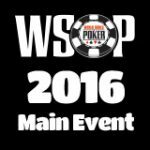 Check the BodogPoker WSOP satellite schedule below. A Bodog Poker bonus code is not required to get your BodogPoker bonus, it is automatically added when signing up. The World Series of Poker and WSOP are trademarks of Harrah's License Company, LLC ("Harrah's"). Harrah's does not sponsor or endorse, and is not associated or affiliated with WinAllPoker.com or Bodog, poker promotions or online poker tournaments.